Michelle Andrade is a Pediatric Clinical Pharmacist at Elliot Hospital. She currently staffs in the Newborn ICU and the Pediatric unit and is the pharmacy liaison for the Newborn ICU. Dr. Andrade serves as the primary pediatric preceptor for PGY-1 residents. Dr. Andrade earned her Doctor of Pharmacy and Bachelor of Science in Chemistry from Massachusetts College of Pharmacy and Health Sciences in Boston. She completed her PGY-1 and pediatric PGY-2 residencies at Elliot Hospital. She received the AACP Education Scholar Teaching Certification through the University of New England. 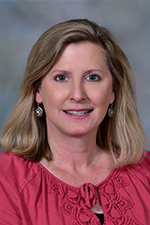 Her current areas of interest include medication safety, quality improvement, and pediatric emergency medicine; she serves on several hospital committees including NICU Medication Safety Committee. She is a member of the Pediatric Pharmacy Advocacy Group, New Hampshire Pharmacists Association, and American Society of Health Systems Pharmacists. Kelly Bornstein is a Clinical Pharmacist at the Elliot Hospital. Kelly currently staffs in the Senior Center, Londonderry Family Practice, River’s Edge, Cardiovascular Consultants, General Electric Aviation plant, and Emergency Department. She serves as an ambulatory care preceptor for pharmacy students and residents. Dr. Bornstein earned her doctor of pharmacy degree from the Massachusetts College of Pharmacy - Boston in 2012. Along with ambulatory care, her current areas of interest include: medication therapy management (MTM), anticoagulation, geriatrics, and transition of care. She is actively involved in the Ambulatory Practice Council, and is a board member of the New Hampshire Pharmacist Association. Donna Farrar, Pharm. D., BCNSP is Pharmacy Clinical Coordinator of Elliot Hospital. She is the PGY1 Residency Program Director as well as the preceptor for the Nutrition Rotation. Her areas of involvement include the Pharmacy and Therapeutics Committee, Formulary Management, and Anticoagulation Clinics and Work Group. She currently staffs in Post-Surgical and Medical Surgical Floors. Dr. Farrar graduated from Massachusetts College of Pharmacy- Boston in 2005. Along with Nutrition, Dr. Farrar's areas of interest include: pediatrics and the antimicrobial stewardship program. She is a member of The American Society of Parenteral and Enteral Nutrition and the New Hampshire Board of Pharmacy Continuing Education Advisory Committee. Katie Fitzgerald is a Clinical Pharmacist at Elliot Hospital. Katie currently staffs in the Pediatric unit, Neonatal ICU, Cardiac ICU, Medical Surgical floors, and the Emergency Department. She is actively involved in the Medication Safety Committee, the Code Blue Committee, and is a member of the American Society of Health-System Pharmacists. She precepts residents during the orientation and advanced practice rotations of the residency. Katie earned her BS in 1991 from Northeastern University. She has 21 years’ experience as a hospital pharmacist, is a Board Certified Pharmacotherapy Specialist, and has precepted students from Massachusetts College of Pharmacy, University of Connecticut and University of Rhode Island. Her current areas of interest include: pediatrics and medication safety. Jamie Godin is a Clinical Pharmacist at the Elliot Hospital. She currently staffs in the Emergency Department, Intensive Care Unit, Cardiac ICU, Post-Surgical and Medical floors as well as the Central Pharmacy. Dr. Godin serves as the preceptor for the required infectious disease rotation for PGY-1 residents. Dr. Godin earned a doctor of pharmacy degree at Massachusetts College of Pharmacy, Boston. She received her Antimicrobial Stewardship Certificate from the Society of Infectious Disease Pharmacists in 2013. She guest lectures on antimicrobial topics at Massachusetts College of Pharmacy, Manchester. Her areas of interest include antimicrobial stewardship, medication reconciliation and emergency medicine. Dr. Godin is a member of the Infection Prevention Committee at Elliot hospital and a member of the American Society of Health-System Pharmacists, the Infectious Disease Society of America and the Society of Infectious Disease Pharmacists. Jill Hiers is a Clinical Pharmacist with the Elliot Health System. She works out of the Elliot Senior Health Center, and currently does comprehensive medication management consults with Elliot Senior Health Primary Care and Elliot Memory Center patients. Dr. Hiers is also working to develop a collaborative practice with providers of the health system. She serves as an assistant ambulatory care preceptor for pharmacy students and residents. 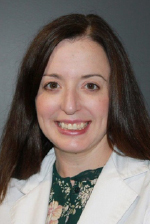 Dr. Hiers earned her doctor of pharmacy degree from the University of Connecticut in 2006. 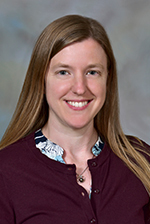 She completed a PGY-1 residency program at the Lahey Clinic in 2007, and has been working with the Elliot Health System since the completion of her residency. Her areas of interest include medication therapy management, geriatrics, osteoporosis, and hypertension. She guest lectures on geriatric topics at the Massachusetts College of Pharmacy in Manchester, and provides continuing education on ambulatory care topics for the New Hampshire Pharmacist Association. Peter Hughes is a Clinical Pharmacist at Elliot Hospital with a focus in Critical Care. He currently staffs in the Intensive Care Unit, Cardiac ICU, Emergency Department, Medical floors and Central Pharmacy. 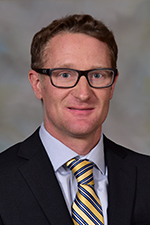 Dr. Hughes serves as the Adult Critical Care Preceptor for PGY-1 residents. Dr. Hughes earned his doctor of pharmacy degree from the University of Rhode Island in 2002 and Board Certification in Pharmacotherapy in 2012. He has been at Elliot Hospital since 2004 and has been a preceptor for APPE Students since 2012. His current areas of interest include anticoagulation, infectious disease, and formulary management. Dr. Hughes is the Chair of the Pharmacy Medication Shortage Committee. Breanne Piazik is the Medication Safety Officer for the Elliot Health System. Her area of involvement include: Medication Safety Committee, Pharmacy and Therapeutics Committee, Anticoagulation Work Group, Elliot Drug Diversion Task Force. Dr. Piazik serves as the Medication Safety preceptor for the PGY-1 residents. Dr. Piazik earned her doctor of pharmacy degree from the University of Rhode Island and her Masters of Public Health from Dartmouth College. She is a member of the American College of Clinical Pharmacy and the American Public Health Association. Her interests include adverse drug event prevention, error reduction strategies, and drug diversion prevention. 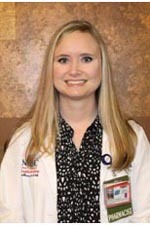 Laura Truhlar is a clinical pharmacist at Elliot Hospital with a focus in critical care. She staffs the intensive care unit, cardiac ICU, emergency department, medical and surgical floors, surgical services, and central pharmacy. 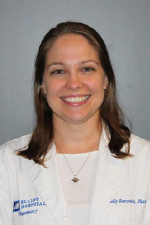 Dr. Truhlar serves as the PGY-1 Residency Program Coordinator and an adult critical care preceptor for PGY-1 residents. She also developed and precepts the critical care elective for APPE longitudinal pharmacy students. Dr. Truhlar earned her Doctor of Pharmacy degree from the Massachusetts College of Pharmacy and her Bachelor of Science degree in Chemistry from Tufts University. She completed a PGY-1 pharmacy practice residency at Elliot Hospital and received the AACP Education Scholar Teaching Certification through the University of New England. Dr. Truhlar is a Board Certified Critical Care Pharmacist and is also ACLS certified. Her current areas of interest include critical care, emergency medicine, transitions of care, and glycemic control. 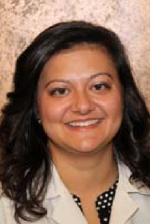 She is the leader of the Critical Care Pharmacy Team at Elliot Hospital and is a member of the American Society of Health-System Pharmacists and American College of Clinical Pharmacy. Kimberly Walters is a Clinical Pharmacist at Elliot Hospital. She currently staffs in the Intensive Care Unit, Cardiac ICU, Emergency Department, Post Surgical, and Medical floors. 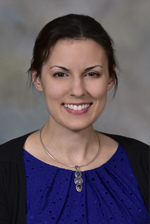 Dr. Walters serves as the General Internal Medicine preceptor for PGY-1 residents. Dr. Walters earned her doctor of pharmacy degree from the Massachusetts College of Pharmacy and also has a bachelor’s degree in Clinical Laboratory Sciences from the University of Maine in Orono. 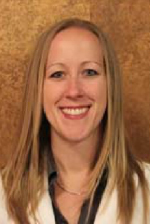 She completed a PGY-1 pharmacy practice residency at Elliot Hospital in 2011. Her current areas of interest include anticoagulation, infectious disease, and critical care. Dr. Walters is a member of the Anticoagulation work group at Elliot hospital and the American Society of Health-System Pharmacists. Marianne Whittaker is the Pharmacy Operations Manager at the Elliot Hospital. She staffs in the Sterile Products Area and is the Practice Management longitudinal rotation preceptor. Dr. Whittaker earned her Doctor of Pharmacy degree from Northeastern University. She then completed a PGY-1 pharmacy practice residency at Boston Medical Center. She received her Master’s in Health Administration degree from Simmons College and has completed the ASHP Pharmacy Leadership Academy. Before employment at the Elliot, she worked at Boston Children’s Hospital and Boston Medical Center as a pediatric clinical pharmacy specialist. Dr. Whittaker’s areas of focus include pediatrics, sterile products and compounding, pharmacokinetics, quality improvement, and pharmacy leadership.